Conveniently located within a triangle bounded by Orlando, Tampa, and Miami, the Law Office of Cassels & McCall provides the services, resources, and technology that one would expect of a large law firm in a metropolitan area. The attorneys and well-trained staff at Cassels & McCall have collectively provided over 150 years of professional services in the State of Florida on a wide range of civil issues. John D. Cassels, Jr. opened his law practice in Okeechobee in 1979, with a concentration in real estate, zoning, and civil litigation. He was joined by Laura Ann McCall in 1985. Together they formed the Law Office of Cassels & McCall in 1988, making it one of Okeechobee’s oldest law firms in continuous operation. The attorneys at Cassels & McCall represent a broad range of business and individual clients in matters such as residential and commercial real estate closings, real property-related litigation, estate-planning, probate, and guardianship. They are committed to providing comprehensive, efficient, and quality legal services. 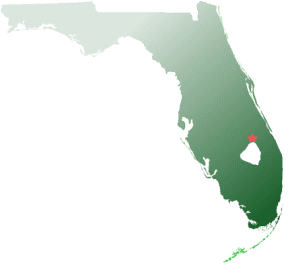 In addition to their private practice, Mr. Cassels and Ms. McCall have served as Okeechobee County Attorneys since 1990.